An array of software solutions for all kinds of tunnels. Tunneling is one of the most important applications for Rocscience software – from preliminary design to the detailed analysis of complex tunnel support systems. A wide spectrum of problems can be analyzed, including tunneling in soft ground, tunneling in jointed rock, near surface cut and cover, and deep tunnels in yielded rock. We’re always looking at ways to make the visualization capabilities of our software even better. 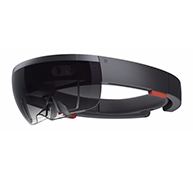 So, we’re especially excited to share with you how we’re bringing the immersive qualities of Augmented Reality (AR) into our 3D modelling products through integration with Microsoft HoloLens, the leading headset in the AR market. Overcoming Squeezing in the Yacambú-Quibor Tunnel, Venezuela Hoek, E., Guevara, R. 2009.